What was initially planned as being an open conversation about sexual misconduct on campus quickly escalated into a back-and-forth debate between the panelists. Hosted by the Concordia University Part-Time Faculty Association, panelists who attended the discussion on Thursday night had a variety of educational backgrounds. The panel included Julie Lalonde, a women’s rights advocate, Brenda Austin-Smith, vice-president of the Canadian Association of University Teachers, Sophie Hough-Martin from the Concordia Student Union, and Julius Grey, a constitutional and human rights lawyer. Grey’s attendance in particular became contentious, as he’s currently defending Ahmed Fekry Ibrahim, an Islamic Studies professor at McGill University currently suing a student with whom he allegedly had a consensual relationship with, according to CBC. Austin-Smith responded that people who faced false accusations have a chance to get their careers back. “But it is just not true that an alleged violation or a breach of a policy is necessarily and inevitable career ending,” she said. Hough-Martin told The Link she thought it was inappropriate to have a Grey present during an open conversation about sexual violence and misconduct on campus given his track record. “In a time when we’re fighting so hard to have survivors even believed in [or] given due process and fairness in procedures to have someone actively involved in a defamation suit against a student who was brave enough to speak out was unacceptable,” Hough-Martin told The Link. During a discussion about the power dynamics that exist between a professor and their student, Hough-Martin highlighted how professors have more authority over their students since they’re the ones who have power over a students grades and career. The majority of the panelists agreed and continued to explain the factors involved in power imbalances on campus. “If I’m paying to be here and you are being paid to be here that is a straight up power dynamic,” Lalonde responded. When asked about the choice of panelists, CUPFA President Robert Soroka said it was important to have diverse perspectives when discussing sexual misconduct. “Julius Grey is one of the country’s most renowned human rights attorneys and to silence a voice that might not be popular or with the people in attendance is not a good way to encourage discourse,” he said. “I think it’s difficult to have a conversation about real life trauma and have it from this intellectual standpoint,” said Lalonde. Concordia policy states that relationships between instructors and students are strongly discouraged. “Because of the [lack of] collective agreements, students are faced with a wall,” continued Hough-Martin. 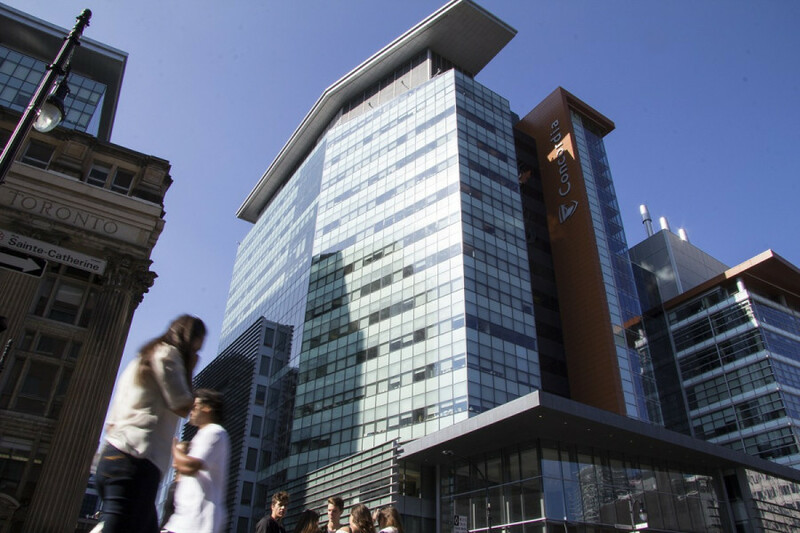 Unlike professors, Concordia students do not have their own collective agreement with the university and with faculty members, limiting their options when filing complaints. When students file a complaint against a professor, the process of the investigation is more intensive than if a student were to file a complaint against another student, Hough-Martin explains. She mentioned during the panel that the investigator is often a third-party chosen outside of the administration, and it’s usually kept confidential and there is rarely a hearing. Grey explained that he and the other panelists had the same ideology, but what differed between them was what they expected out of the verification process when determing abuses of sxeual violence. Hough-Martin was overall unimpressed with the choice of panelist to talk about sexual misconduct in a university setting. “I think that’s really harmful inviting someone to a panel who will uphold views to just reinforce misogyny and hide them under the guides of economic inequality is unacceptable,” said Hough-Martin. “I really hope that in the future, panels like this are organized and they’ll choose whatever legal counsel they have wisely,” said Hough-Martin. Correction: In a previous version of this article, it was said that the Concordia University Faculty Association hosted the panel when it was the Concordia University Part-Time Faculty Association. The Link regrets the error.